Red Lights – Is it safer to ride through? 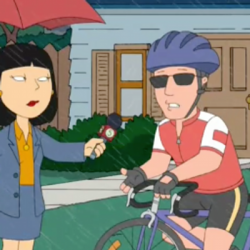 I’ve heard several cyclists state that they only go through red lights because it is the safest thing to do. They are scared of vehicles behind them, the big scary lorries and busses. They state that they go through the red light because many cyclists are killed by large vehicles and being in front of them is obviously dangerous. Quiet obviously going through the red light is not the safest thing to do. All you are doing is moving your contact point with the large vehicle, moving it from a stop start to them overtaking you further down the road, where the speeds will be larger and the whole thing will happen a lot faster. Not only that but there is the actual fact that you are going through a red light, something which some people argue can be done perfectly safely, and whilst that might be possible, you will always get caught out eventually. 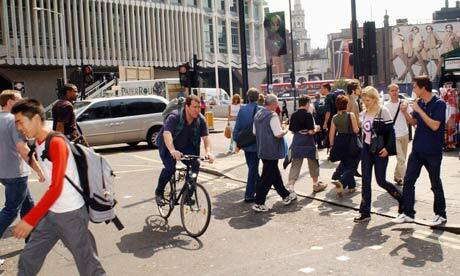 You could hit a pedestrian, be struck by a car crossing in front of you or you could even SMIDSY another cyclist. There are two scenarios and one way to keep safe for each. The first being where you are stopped and a large vehicle pulls up behind you. If you are scared for your safely, the best thing to do is to remove your self from the situation. Many people think this means going through the red light but as I mentioned above, you are just moving the contact point. The safest thing to do is to move onto the pavement and wait for the vehicle to pass you, then re-join the road and continue on your journey. The second being when you approach a large from vehicle behind, I regularly see cyclists filtering to the front, they see it as a target. Of course some use the danger factor to then jump the lights because it ‘is’ safer. The safest thing to do is wait behind the large vehicle and control the lane as you set off. There is of course only one time where the safest thing to do is to go through a red light. That is when the light turns red and you don’t think the vehicle behind you will stop. Stopping would cause a collision and that is of course, a bad thing. 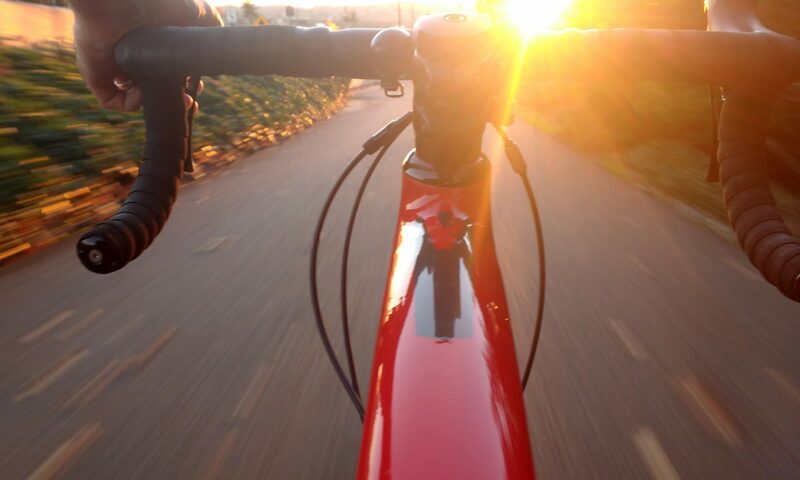 Some say that a handful of drivers think that all cyclists going through red lights and thus presume that you will not stop when the light changes. Red light is a no no for me, I never go through a red ! wait a minute when I 1st starting to cycle I did go through red, but after a 3 weeks a realised this is not good plus I am not sticking to the highway code. I now been cycling for over 2.5 yrs & there is no way I would go through a red. Nicely put together piece. I think the usual excuses I hear for jumping lights are that they feel safer and it’s quicker. Your methods for avoiding the danger aspect are spot on. I’m not sure some people realize that it can be safer to wait further back as the car drivers DON’T race off and surprise surprise most drivers DON’T want to run you over. That would risk damaging their cars…. Reading about the massively disappointing verdict on the lorry driver who killed Svitlana at Bow Roundabout a few months ago – no charges against the killer who was on his mobile phone and didn’t signal! – I know that she would still be with us today if she had ignored the red light that afternoon. I would much rather she were here and still being a joy to her friends and family than dead and gone to be honest, and if that annoys a few motorists then so be it. I never go through red lights and often feel cross when I see so many others do it… but seriously then I think how can I really criticise other cyclists from doing so when I read of such tragic injustice going on every week in the papers? I am so upset for the family of this woman, and so upset for the family of Brian killed a few hundred yards away, and for the 14 other cyclists mowed down and killed by inattentive and careless drivers. Going through red lights (carefully so as not to scare pedestrians!!) should actually become a sacrament rather than a sin in the war against the motorist. As I mentioned in the post above, the safest thing to do is to remove your self from the situation by moving on to the pavement and waiting for the danger to pass. Running the red light will just move the contact point further down the road, where speeds are higher. Looking at any of the charges brought to motorists who kill or seriously injure cyclists, it is a bit of a joke. People are essentially getting away with murder. Your point about allowing red light jumping. Whilst it may be a good idea, it won’t help to solve the issues, people will still filter unsafely to the front because they can continue on their journey what ever, which may result in even more injuries or deaths. The report said that she actually walked her bike to the Superhighway box (presumably the ASL from the description of her position from the bus CCTV) which I think points to a serious failing in both the design of the junction AND HGV’s. The fact that an ASL is approximately the same shape and size as a HGV’s blindspot isn’t something that I think is publicised enough. Unfortunately however when you have a mayor that trumpets on about cyclists being given safe and easy routes through the city that amount to nothing more then a lick of blue paint on the road it’s quite easy to see why some inexeprienced riders (with regards to safety around large vehicles) who will still obey road traffic laws will see the blue paint and box and assume they are safe there. I’ve captured many Silly Cyclist clips of people seemingly blind to the fact that the car or van they are pulling up alongside on CS7 and 8 are indicating left and instead just queue up alongside them. Personally in her case I think the fact that the driver was on his phone AND not indicating should have been looked about far more strongly instead of just dismissing the case under a rather “unfortunate” SMIDSY. Been cycling for just over a year now only ever jumped a red light once and that was because i had some good speed and it changed to amber as i hit the white line so couldn’t safely stop in time. Tonight when cycling home i was stopped at a light controlled T junction stuck on red light i realized it was safe to jump the light an turn left but still decided not to. I fully agree that there are safer options for avoiding the danger at junctions (staying behind or getting off your bike). And I don’t jump red lights. 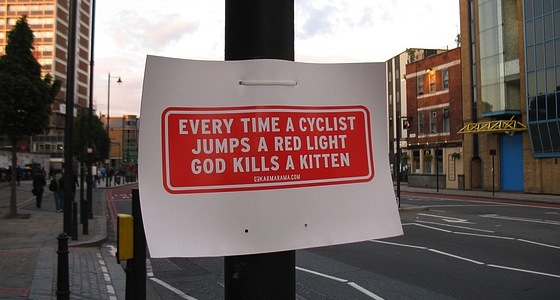 But I don’t agree that jumping red lights simply moves the danger further up the road. The majority of collisions are when the vehicle is turning left and “squeezes” the road space. This wouldn’t happen further down the road. What about the times that you have reached the front of the junction first and a vehicle pulls up behind. Who says that they won’t “forget” that you are there? Trials in Paris and other areas of France has shown an increase in safety when allowing cyclists to turn right (our left). So they are now allowed to do so – with strict liability if anything goes wrong. Why can’t we at least trial this here at our dangerous junctions? Maybe if we had already there would have been a few less deaths in London last year. In some cases it won’t move the danger further up the road, in some cases it will (some cyclists use any large vehicle as an excuse to jump the light, even if it isn’t turning left). Better cycling position should combat most cases of left hooks at junctions. Far too many cyclists hug the side of the road when they should really be putting them selves in the center of the lane to control it and make them selves more visible to those behind. If we allow cyclists to turn left on red or go through on red then we will have an issue with people having a target fixation on getting to the front of every queue so they can continue their journey. We can already see this with ASL’s. Some cyclists just have to get to the front so they can continue their journey as soon as possible. They may be filtering unsafely and putting them selves in a position of danger. And therein lies the problem! I was approaching one of the T-Junction up from Stockwell earlier on CS7. One car waiting in left lane, clearly indicating left. Not quite at the stop line as there are a fair few riders in the ASL. I and another rider pull up in the center/to the rear right corner of car and then watch 5 other riders filter up the left side in the bike lane in an attempt to get to the ASL!! What did they achieve? Nothing really. I passed them fairly safely as I moved off with the car, who (un)surprisingly turned and DID pay attention (not all drivers are intent on mowing down cyclists….) Once they where out of the way I stayed out in primary and overtook EVERY cyclist before the car lot without trouble. Admittedly I do have fairly quick acceleration away from the lights but the road is wide enough there and has 1 1/2 lanes before you meet the bus lane further down. I did however almost yell at another cyclist who went up the inside of a left indicating PJ BROWN lorry earlier. Thankfully he was chatting on his phone on the corner (still not v.intelligent as lorry might cut in as it turns, would have been much better to have conversation on pavement IMHO, especially around drivers from THAT company….) by the time I got to the front, having approached on the right side just as the lights changed. Spotted a great example of a “delayed danger” red light jump whilst out on lunch yesterday. Rider approached lights at t-junction (on the side with junction) and went straight past the ASL AND crossing. I assumed he was going to go on through but he then stopped. There aren’t any lights on the opposite side of this one so now the rider has no idea when the lights have gone green! As I expected a car pulled up at the stop line and when they went green Mr Cyclist was completely unaware until a car, now doing some 5-10mph went past him and he then sets off. Now *if* he has waited in the ASL he would have been able to see the lights change from red to amber then green and would have been better able to move off smoothly and at a similar speed to the car behind him. I have a bit of an issue with the photo at the end of your piece. I do not run red lights, and get really annoyed by RLJers. But I also don’t like cats. So I am not sure what to do now. Advice please? On a more serious note, I agree fully with the points you have made. Why should cyclists get to pick and choose which laws to obey? If people don’t like the status quo they can campaign to get it changed. But as the “safety” argument for RLJing can be debunked as clearly as you have done here I don’t rate their chances. I don’t jump red lights but I often wonder if I should. I work in motor insurance and the number of accidents where a car is sitting at lights and gets hit in the rear is shocking to me. If they can’t see a car, what chance does a cyclist have?